Made these bad boys for my girlfriend this morning and they were SO stinking good!! I can't believe that these are low carb! Cut 2 large slices of bread, then cut each slice into 4 french toast sticks. Beat together the egg, heavy cream, cinnamon, vanilla, and optional sweetener. Heat 1 tbsp of ghee in a nonstick skillet over medium heat. Server with butter and sugar-free syrup and dust with cinnamon. Enjoy! 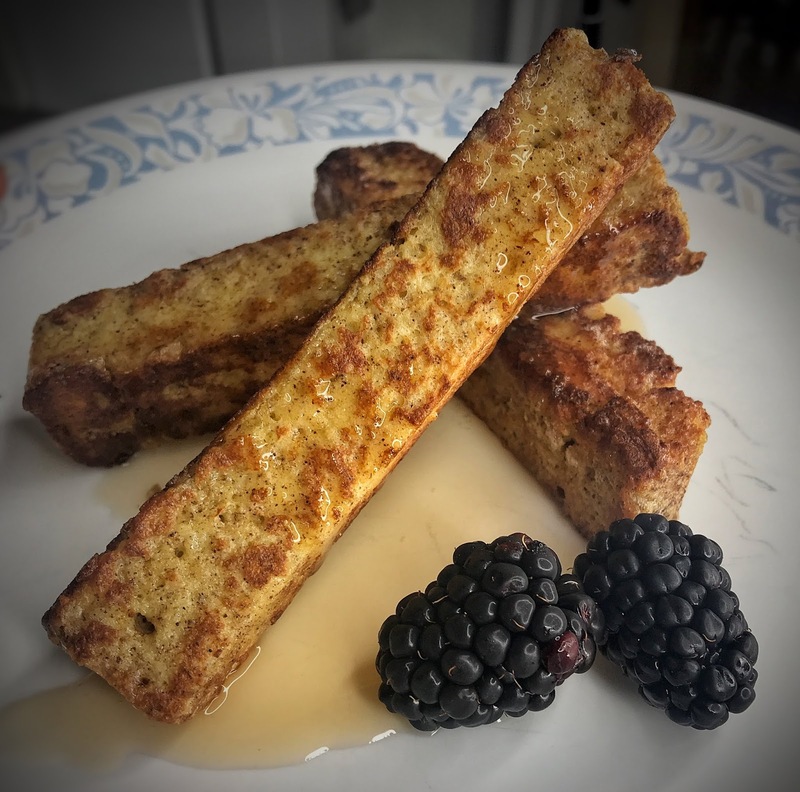 1 Serving is 8 French Toast Sticks. Nutrition listed is for 1 serving, which equals 8 French Toast Sticks.